The very high number of people with HIV in South Africa is increasing the number of people with active TB disease. Of the 78,000 people estimated to have died, an estimated 56,000 were HIV positive. TB continues to be the single largest contributor to death in South Africa. There is more about the relationship between HIV and TB. As well as being driven by HIV, the TB burden is also driven by poor living conditions and late presentation to health facilities. Treatment success has previously been low. Although this has improved, the TB prevalence rate has not reduced much since 2010. Multi drug resistant TB is a growing problem with the number of MDR-TB cases doubling from 2007 to 2012. The South African government is making major efforts to combat both HIV and TB as set out in its National Strategic Plans. It is considered by some people that during this five year period South Africa "turned a corner" in relation to TB. Pro-active identification of TB was introduced. TB testing with Genexpert was introduced countrywide meaning that diagnsostic results, including resistance testing were available within a couple of hours. There was also better detection of TB among people living with HIV. However, among other problems an estimated 150,000 people with TB remained undiagnosed. For more about TB & HIV before 2017 see TB & HIV in South Africa. "We have made major gains in terms of treating millions of people living with HIV & TB, slashing the death toll due to these infections, and reducing the number of new infections. However, there is still a great deal to be done"
The overall goal of this National Strategic Plan is the elimination of HIV, TB and STIs as public health threats by the year 2030. The approach taken in this latest National Strategic Plan is to intensify efforts in the geographic areas that are most affected by TB. In addition the highest impact interventions are to be used in these areas. There is very little mention of drug resistant TB although there is a very ambitious target that the treatment of drug resistant TB in South Africa should be 75% successful. Comprehensive prevention and care for TB will be provided countrywide but intensified concentrated efforts will be made in the 19 districts with the highest TB burden. In these high burden districts the aim is a saturation of high impact prevention and treatment services. The incidence rate for these districts is given on the page on TB statistics for South Africa. The target is to cut TB incidence by at least 30% from 450,000 in 2015 to 315,000 by 2022. Currently 63% of the new TB infections are among people living with HIV. This is not necessarily though a very demanding target as 450,000 is the number of new cases diagnosed in 2015, and the TB incidence figure had already reduced to 322,000 by 2017. The figures are from the World Health Organisation and it may be that the previous figures were an over estimate. Many people with symptoms of TB remain unaware of their disease status, face unacceptable delays between TB diagnosis and TB treatment initiation, and discontinue or are unable to complete their TB treatment. Dramatically lowering rates of loss to follow up for TB is a critical priority in this five year period. South Africa has also committed to the Global Plan to End TB 2016 - 2020. Set by the Stop TB Partnership this involves implementing the 90-90-90 strategy for TB. Three main targets have been set. Target 1 is that 90% of all TB cases should be found and given effective treatment.This requires early detection and the prompt treatment of 90% of people with TB. This includes both drug susceptible and drug resistant TB. It also means 90% of people who require preventive therapy. By improving the rates at which people are diagnosed and treated, countries can reduce the spread of TB and reduce incidence. Target 2 is that as part of this approach 90% of the TB cases in key populations should be found and provided with appropriate treatment. Target 3 is that there should be a 90% treatment success rate among people identified as needing treatment. This includes treatment for drug susceptible TB, drug resistant TB, or preventive TB therapy. This target is more ambitious than previously established targets for treatment success, as it covers 90% of all people diagnosed with TB, not just those who start treatment. The focus of the National TB Programme in South Africa has historically been on treatment success rates. This fails to reflect "upstream" losses contributed by individuals who do not access health services. It also fails to reflect those people for whom TB is not diagnosed, notified and treated. Will the current National Strategic Plan enable South Africa to end TB by 2030? 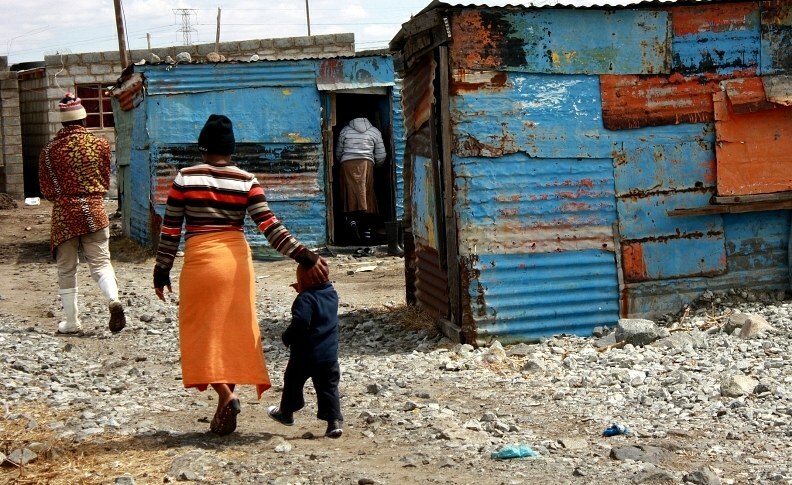 Some people have suggested that there are major gaps in the prevention and treatment goals.4"Will the current National Strategic Plan enable South Africa to end AIDS, Tuberculosis and Sexually Transmitted Infections by 2022? ", Southern African Journal of HIV Medicine, 2018, https://sajhivmed.org.za/index.php/hivmed/article/view/796 There are also considered by some people to be glaring health system constraints to achieving the goals. 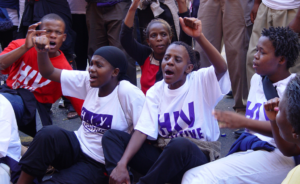 A report from the Treatment Action Campaign paints a picture of a public healthcare system that is often so severely dysfunctional that it hinders the implementation of HIV and TB programmes. It cites the lack of TB infection control in many clinics and hospitals as an example. The plan shifts all the responsibility for its implementation to provinces. The principle may be sound, but the NSP provides little guidance to provinces on how to do this or how it will be measured. Also much of what the plan proposes will require increases in human resources. Community health workers play a vital role in tracing some of those most at risk of TB, including those who have been in close contact with TB patients. Delivering the services outlined in this NSP requires a well functioning supply chain. In the Stop Stockouts Project (SSP) Stock Outs National Survey (June 2016) health facilities nation wide reported nearly one in five stock-outs of TB medicines resulted in the patient leaving the health facility without medication. 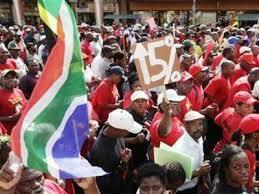 The total cost of implementing the proposed NSP over the five year period is R207 billion. Mobilisation of additional domestic resources is limited by a number of factors including the country's low eeconomic growth. The NSP hardly makes mention of what proposed interventions may cost or if South Africa has the resources to fund them. As a result many of the NSP's interventions may end up unfunded and thus unimplemented.